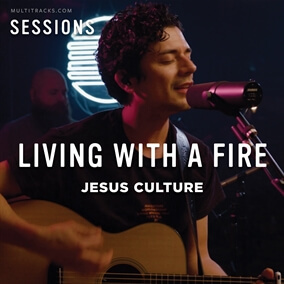 We recently featured three new MultiTracks.com Sessions with Jesus Culture. Because of the many customer requests, we are releasing the MultiTrack resources from "Living With A Fire", "Freedom", and "Love Came Down". If you are looking for new arrangements and instrumentation to lead these songs in your services, this is the perfect resource for you. Check out our catalog of Sessions and subscribe to our YouTube Channel to be first in line to hear about the latest MultiTracks.com Session releases. Original Master MultiTracks for "Living With A Fire", "Freedom", and "Love Came Down" are now available.